Help your boy look fashionable by suggesting that he wear a white t-shirt with beige trousers. This outfit is complemented perfectly with tan boots. 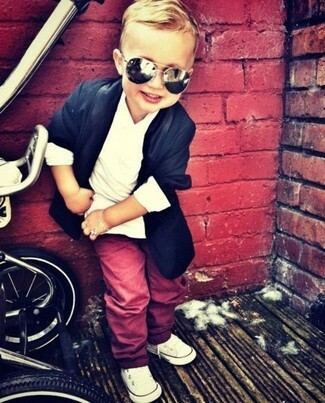 Your little man will look extra adorable in a Burberry callum check pocket t shirt from Nordstrom and red trousers. White sneakers are a savvy choice to complement this look. 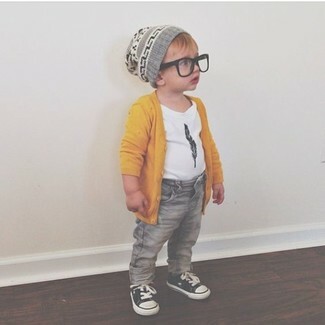 Suggest that your kid wear a Burberry callum check pocket t shirt and grey jeans for a comfy outfit. The footwear choice here is pretty easy: complete this style with black sneakers. 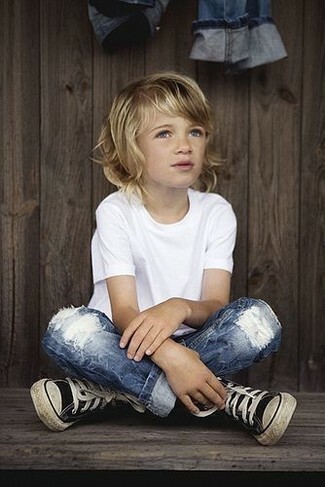 Suggest that your child wear a Burberry callum check pocket t shirt from Nordstrom and blue jeans for a comfy outfit. As far as footwear is concerned, suggest that your child opt for a pair of black boots. 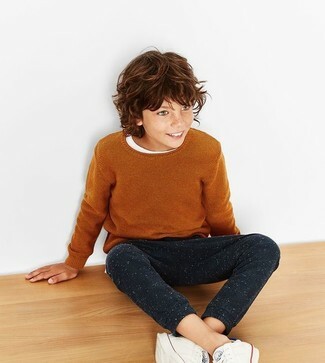 Suggest that your son choose a Burberry callum check pocket t shirt from Nordstrom and blue jeans for a fun day out at the playground. Black sneakers are a smart choice to finish off this style. 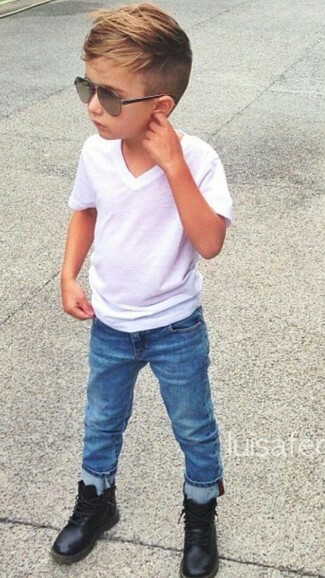 Suggest that your little man pair a Burberry callum check pocket t shirt with black sweatpants for a fun day out at the playground. 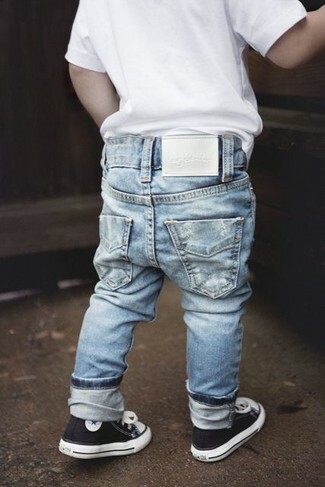 As for footwear your little guy will love white sneakers for this getup. 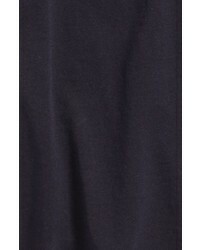 Your little guy will look extra cute in a Burberry callum check pocket t shirt and charcoal jeans. 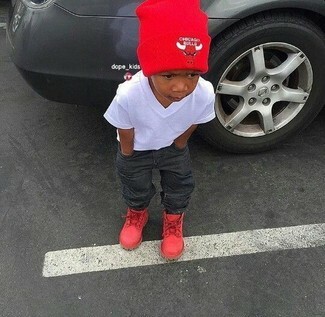 As for footwear your little man will love red boots for this outfit. Suggest that your little one dress in a Burberry callum check pocket t shirt from Nordstrom and light blue jeans for a fun day in the park. Black sneakers are a good choice to finish off this getup. 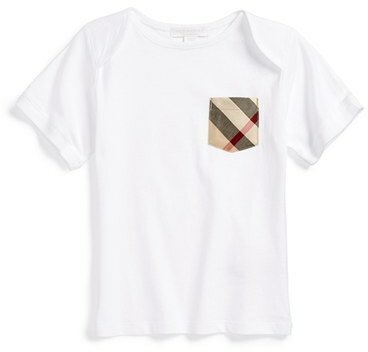 Your child will look uber cute in a Burberry callum check pocket t shirt from Nordstrom and green jeans. This outfit is complemented nicely with white sneakers.